Football button with a sketch of a terrier. “Roll Over Boston Univ. 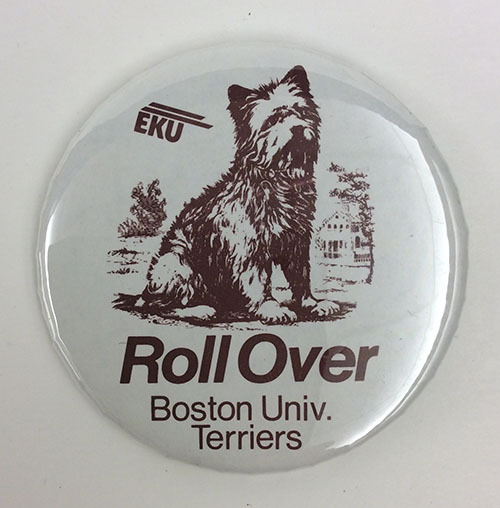 Terriers Button,” Digital Collections, accessed April 19, 2019, https://digitalcollections.eku.edu/items/show/33902.